The charity that runs the Regal Theatre in Bathgate, West Lothian, has gone into voluntary liquidation and cancelled all future performances at the venue. 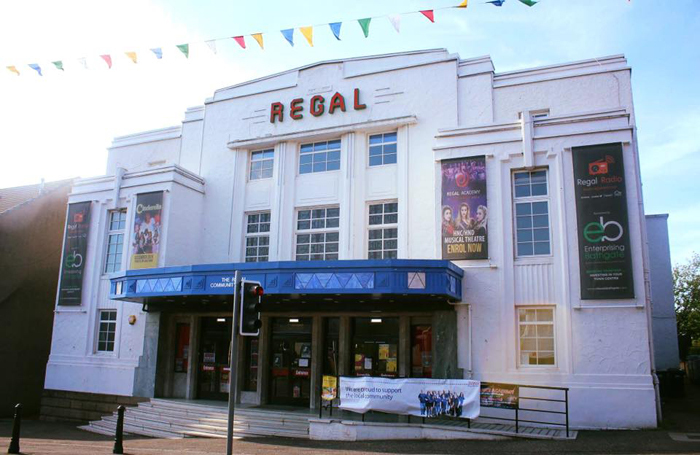 The Regal Community Theatre Bathgate Limited leased the art-deco former cinema building from West Lothian Council to run as an arts and community venue. Built in 1938 with an original capacity of 1,100, the current auditorium has seating for 206. The management board of RCTBL has announced that it is no longer financially viable to continue to provide arts and entertainment at the theatre. In June this year, the council approved additional one-off funding of £35,000 to enable the theatre to continue to operate over the summer, on the understanding that RCTBL would produce a “robust business plan that will deliver a sustainable future for the Regal”. This was in addition to the funding of £136,524 already given for 2017/18 in return for “providing local residents opportunities to take part in the arts, which has health, well-being and quality-of-life benefits”. According to a statement announcing its application for voluntary liquidation, RCTBL is working with the council to ensure an orderly transfer of the building back to the local authority. The council is maintaining existing community lets at the Regal building, which will remain open. RCTBL chairman Ronnie Barnes said: “We would like to thank everyone who has worked hard in the past few years to try to keep the Regal going, especially our committed, hard-working staff, dedicated volunteers and loyal members of the public. “Thanks must also go to West Lothian Council for its continued financial support and ongoing advice that has allowed us to continue trading this far.